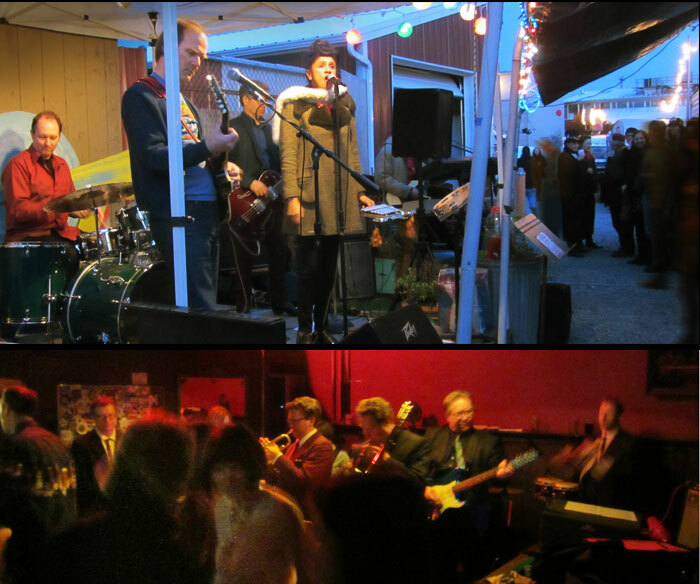 (Top) The Moonspinners perform at the Georgetown Trailer Park and Frida. (Bottom) The Rat City Brass playing at the 9 Pound Hammer. Mark your calendars! 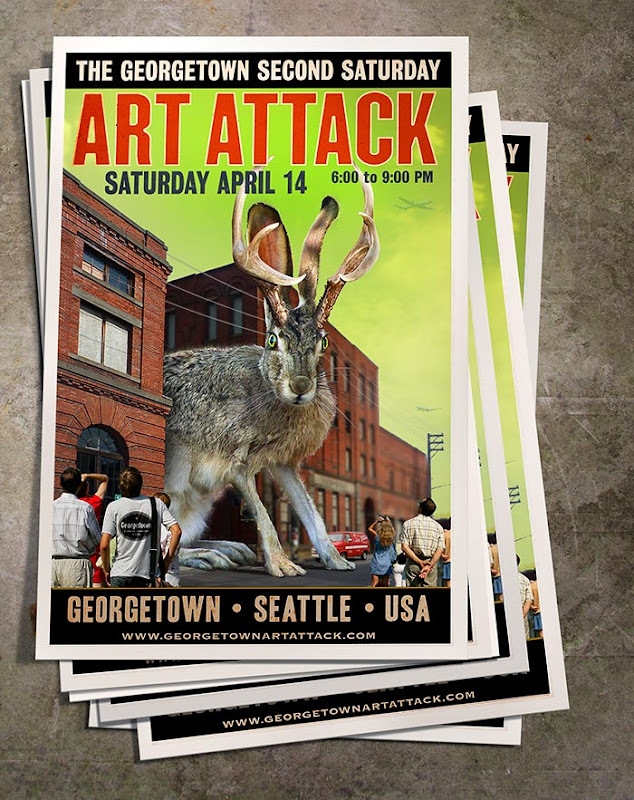 The Giant Easter Jackalope runs rampant down Airport Way South on the latest postcard for the April 14th installment of the Art Attack. 20 bands in 20 locations. Free! 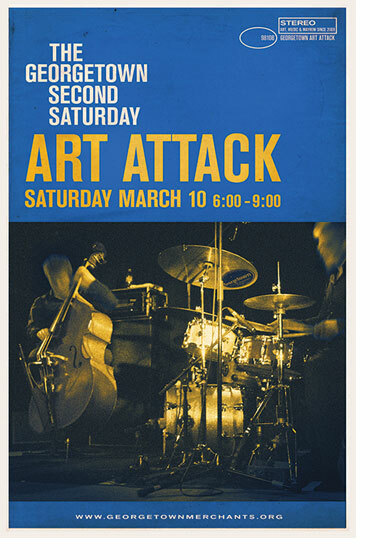 A musical edition of the infamous Georgetown Art Attack will be staged on Saturday, March 24 from 5:00 to 9:00 PM throughout the historic Georgetown industrial arts quarter. The Georgetown Music March features more than 20 diverse performances in 20 unlikely locations. This event is free and most venues welcome guests of all ages. The eclectic line-up features musicians that have ties to the Georgetown community. Rock, jazz, electronica, lounge, punk, bluegrass, alt country, folk and just about everything in between will be heard in spaces along the Airport Way business corridor. 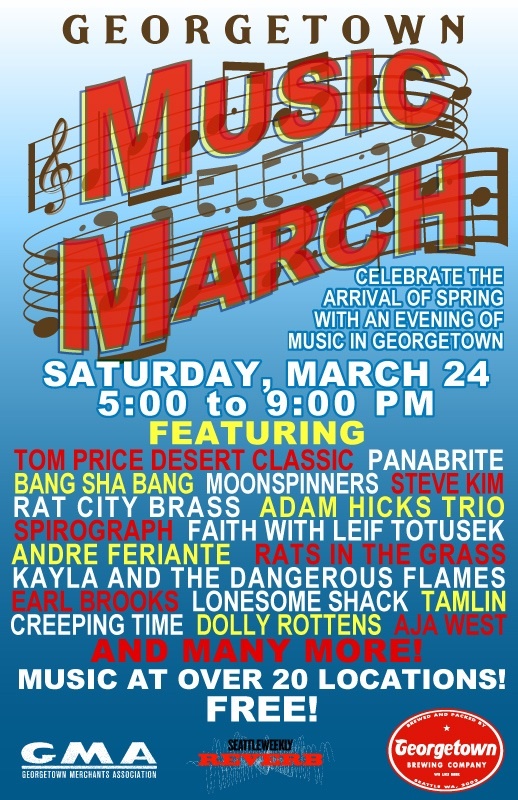 Performers include the Tom Price Desert Classic, Panabrite, Bang Sha Bang, Rat City Brass, Moonspinners, Adam Hicks Trio, Spirograph, Faith, Leif Totusek, Steve Kim, Andre Feriante, Rats in the Grass, Earl Brooks, Lonesome Shack, Tamlin, Creeping Time, Dolly Rottens, Aja West, Tony Diaz, Brian Bullock, Kayla and the Dangerous Flares, and more. Maps and schedules for this early evening event will be available at participating venues including Georgetown Liquor Company, Two Tartes Café, American Pie, Calamity Jane’s, The Firm, Jules Maes, Georgetown Trailer Park, the Stables, Georgetown Records, All City Coffee, 9 Lb. Hammer, the Mix, Via Tribulali, Ground Control, Georgetown Music, and Fantagraphics Bookstore. (Top) The Real Comet Press Retrospective at Fantagraphics Bookstore & Gallery. (Bottom) The Ides of March party at the Georgetown Trailer Park Mall and Frida. Real Comet Press Collides with Fantagraphics Bookstore this Saturday. Celebrate the legacy of Seattle’s seminal alternative comix scene at The Real Comet Press Retrospective opening Saturday, March 10 from 6:00 to 9:00 PM at Fantagraphics Bookstore & Gallery. Join hosts Art Chantry, Michael Dougan, Ruth Hayes and other Real Comet alumni for this festive reunion. 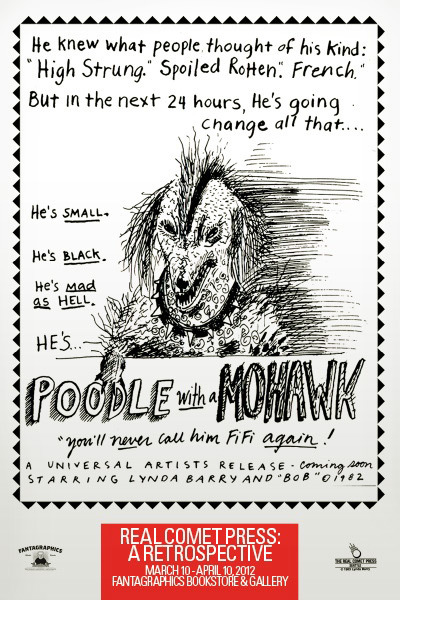 Original art, books, comix and ephemera from the primordial period of Seattle’s comix counterculture of the 1980s will be on display. Coveted out-of-print books and posters by Lynda Barry – some of them signed, first editions – will be offered for sale at bargain prices. Michael Dougan’s masterful East Texas will be available, as will a selection of delightful flipbooks by Ruth Hayes. The early 80s in Seattle gave birth and momentum to our current alternative comix culture, which grew exponentially with the arrival of Fantagraphics at the end of the decade. Real Comet Press promoted an amazing array of gifted artists, authors, cartoonists, and graphic designers, creating the foundation for a youth movement that would soon have indelible impact on global popular culture. Don’t miss the action on Saturday evening. 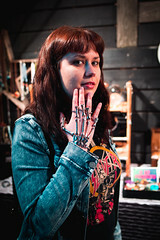 This event coincides with the colorful Georgetown Art Attack, featuring visual and performing arts presentations throughout the historic industrial arts district. 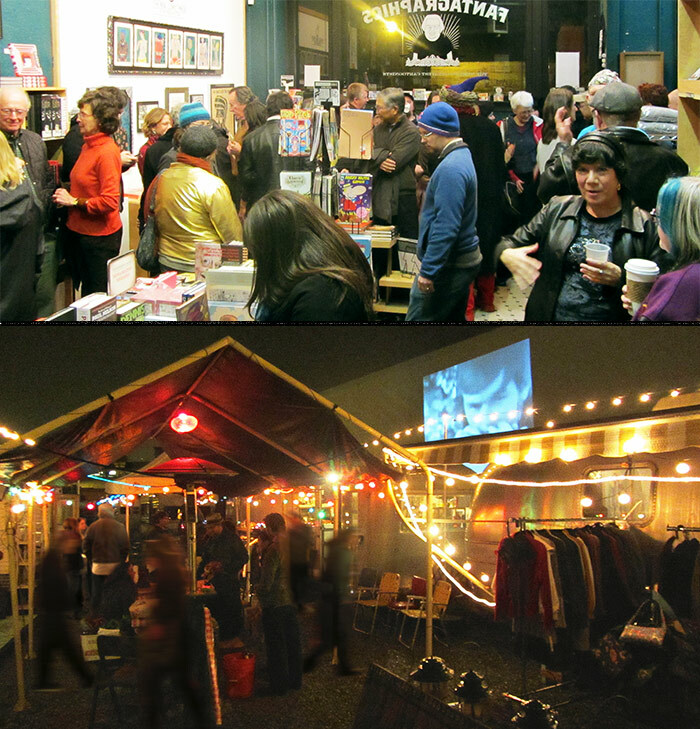 Fantagraphics Bookstore is located at 1201 S. Vale Street (at Airport Way S.), only minutes from downtown Seattle. Open daily 11:30 to 8:00 PM, Sundays until 5:00 PM. Phone 206.658.0110. See you soon. 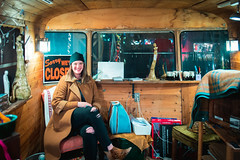 Seattle, WA, February 27, 2012: As Georgetown looks towards the upcoming Spring months, the local merchants and artists are celebrating the artistic and musical diversity of Seattle’s most eclectic neighborhood. Exciting sights and sounds await the visitor as the neighborhood gears up for the March 24th Georgetown Music March event. All City Coffee has bright, playful and metaphorical paintings by local artist Jesse Link. American Pie is hosting “Instrumental” with plenty of different artists in all kinds of media: on board is Mickey Williams, Brian Snoddy, Tamara Clammer, Robert Hanna, Don Farrel, Julie Baroh, James C Bassett, Levi Hastings, Zeb Shaffer, Robert Lane, Yvette Endrijautzki, Larkin, Dave Ryan, Kree Arvanitas, Elizabeth Beronich Sheets, Charlie Bowlen and many more. Calamity Jane’s is featuring the work of Eric Edwards. A Dog’s Dream have abstracts by Nan Gross and block prints by Ellen Moffit. Fantagraphics Bookstore & Gallery mounts a retrospective of prescient Seattle publisher Real Comet Press featuring art, graphics and book works by Lynda Barry, Art Chantry, Ruth Hayes, Michael Dougan, and more. The Firm presents “Don’t You Forget About Me” by artist Erin Shafkind, running concurrently with the 46th Annual Conference of the National Council on Education for the Ceramic Arts. Equinox Studios has the following studios open: Melinda Hannigan, painter, #209; Alair Wells, Tinder Heart Metals and Design, #106; Stacy Rosevear, painter, #308; The Blacksmith shop and The Iron Monkeys, #110; John Kirschenbaum, fine furniture, #212; Firelight Forge’s Andy will be doing large hand forgings including hammer heads, #101; Iron Idiom, Steve and Sherry, #303; Studio SixEight, M. Anne Sweet, #310; Dan Morgan, Carpenter, #102; faceOdd wearable art masks, Tamara Clammer, #305… and more! Full Throttle Bottles will be showcasing handmade beer tab purses to show your true love of beer! We also will continue to showcase handmade Wine Charms by Erika and the art of Sam Hamrick (gift cards and prints). Georgetown Arts and Cultural Center hosts a 13 artist group show, “Gypsy Caravan”, with the theme of traveling. Georgetown Atelier hosts Draw Attack!, a life drawing session with a costumed warrior and musical accompaniment by Jordan Corbin Wentworth of Watershed Opera. Student art on display. 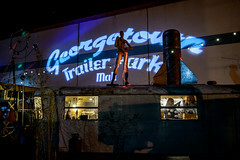 Georgetown Trailer Park Mall and Frida Ides of March Party! Featuring Clyde & Sons Salvage Grande Opening, Outdoor Cinema and Loads of New Locally Made Goods! 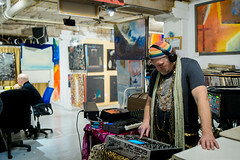 Krab Jab Studio presents a 3D experience “Color Studies in the Third Dimension” with artist Ray Pelley. Also on hand are artists Milo Duke, Mark Tedin, Julie Baroh and Kyle Abernethy. Mary Tudor and Ferrell are displaying abstract oil in the elemental and atmospheric style. DJ Luscious Leopard Lips guest stars on the Theremin. NUPASA will be displaying the finished graphic novel by Tim Basaraba. Roving Gallery will be presenting watercolors by Woodinville artist Amanda Schuster. Vecta Photo will be showing recent photographic work by Vecta proprietors Tony Blazejack and Richard Walker. Waxing Impressions has an open studio with encaustic and watercolor painting and clay jewelry by Deborah Stachowic.